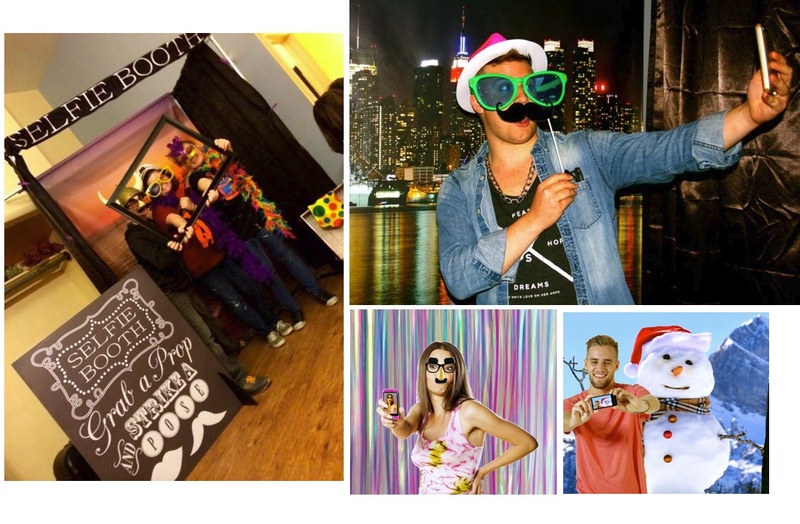 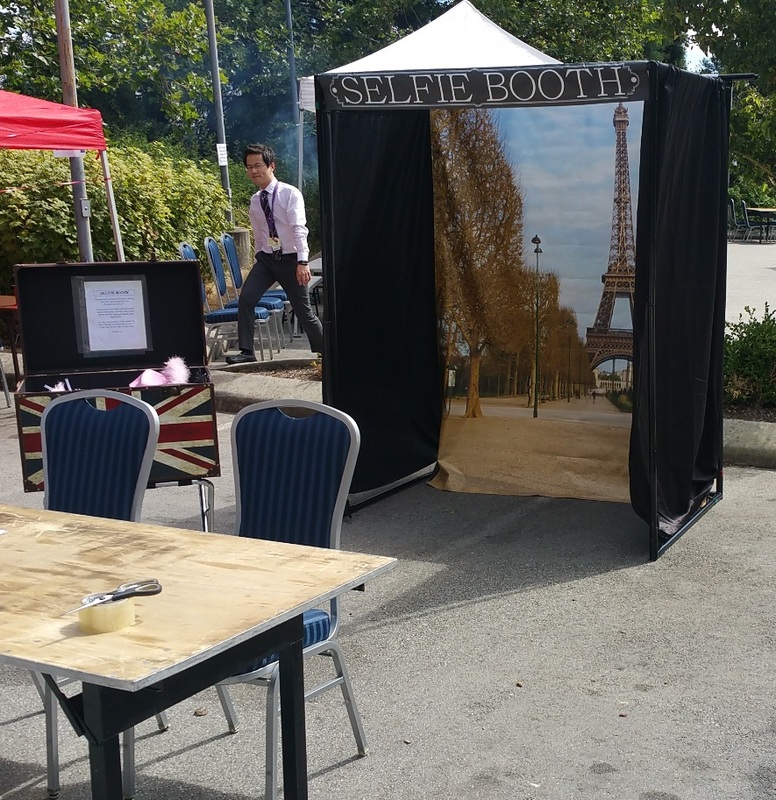 Grab some friends, put on some props, and strike a pose in the Selfie Booth! 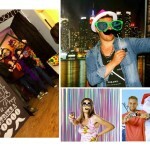 Take photos on your own camera or smart phone. 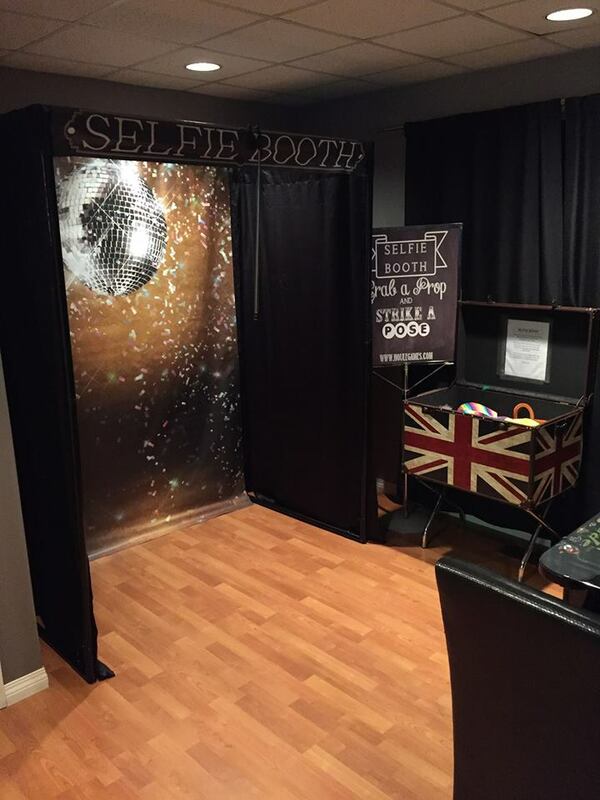 The rental includes the framed booth with sign and black drapes, trunk of silly props and 4 fun backdrops (Paris, Disco Ball, Balloons & Fireworks).